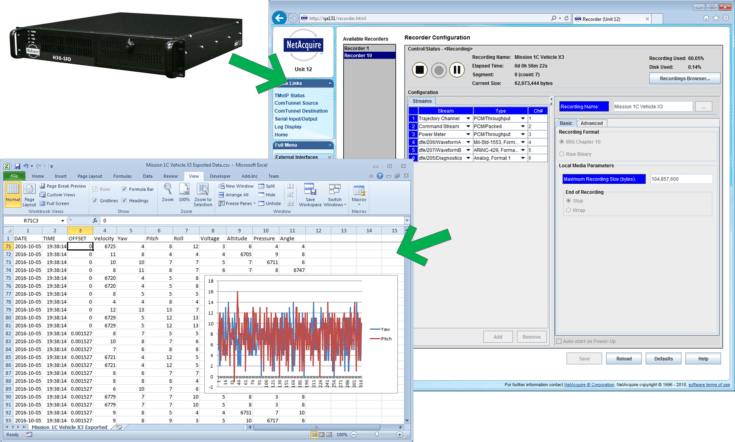 Bellevue, WA — Real Time Integration, Inc. has announced UNIX drivers for the NetAcquire AIO—a network data acquisition server—that acquires, processes, and updates real-time analog data at over 750,000 samples/second. The NetAcquire AIO uses a standard Ethernet network to communicate with a UNIX workstation monitoring and displaying the results, that may be located hundreds or thousands of feet away. The NetAcquire AIO is an ideal component for building local-area distributed test and measurement systems. The NetAcquire AIO network protocol is also Internet-compatible, allowing remote data acquisition and control from anywhere in the world. Workstations often have limited internal bus expansion for hardware peripherals; by using Ethernet as our interconnect, RTI avoids bus slot limits and distance limits. The NetAcquire AIO has been optimized as a real-time platform with an onboard 486 processor running a true real-time operating system. This allows real-time data reduction, low latency closed-loop control, and intelligent trigger scanning that cuts through unwanted data to capture critical events. Additional algorithms include FFT, digital filtering, sensor linearization, PID, peak detection, and statistical functions. NetAcquire’s industry-standard TCP/IP Ethernet network interface allows data acquisition from a wide variety of different client computers and operating systems; in addition to SunOS, Solaris, and HP-UX UNIX, support is offered for Microsoft MS-DOS, Windows 3.1/95, and Windows NT. Up to ten NetAcquire boxes can be run in parallel with each networked client computer. UNIX client software drivers are available for Sun Microsystems SunOS and Solaris, and Hewlett-Packard HP-UX. Support for IBM AIX and Silicon Graphics IRIX.